With higher level monitoring service you may get a free camera and some additional free equipment. You then have the option to add additional security equipment to the free package by purchasing the upgrades. Some homeowners want to add protection to their windows to create full perimeter protection or a least get window sensors installed on priority openings like the kids bedrooms and the large back windows that could easily be broken into. Window Sensors with installation normally cost between $69 - $99 each. Additional motion detection can be added to increase the interior protection of your home when your security system is armed in the AWAY MODE. If your main security concern is when you are not home then motions can be a fantastic way to protect entire rooms or sections of your home. Most motion sensors have pet immunity for small dogs and cats. Motion Sensors with installation normally cost between $149 - $219 each. These are a perimeter detection device because the intruder is still outside when the glass is broken. Glass break sensors are armed in STAY and AWAY MODE and you can arm them even if you have large dogs with free roam of the home when you are away. Most often installed in rooms with large panes of glass, by patio or french doors and in children’s bedroom that are far away from the master bedroom. Glass Break Sensors with installation cost between $159 - $199 each. Key-chain remotes, also called keyfobs, are used to make it very easy to arm and disarm your security system. It’s kinda like arming your car alarm. Most key-chain remotes have a panic button that can be used within your home for police emergency situations. Once the panic button is pressed, your alarm will sound and the security system will send an alarm signal to the central station that you need immediate help. Key-chain remotes range between $89 - $129 each. Secondary keypads can be installed in multiple locations throughout your home. Typical locations for keypads are the front entry, garage entry and the master bedroom. Having several keypads makes it more convenient to arm/disarm your security system and adds multiple locations to hit panic buttons for police, fire and medical emergencies. The display on the keypads give you the status of your security system, information about alarm events and the zone that trigger an alarm. In a two story home, it is definitely a good idea to have at least one keypad downstairs and one upstairs. Keypads with installation cost between $179 - $299 each depending upon the type. When added to your home security system, a smoke/heat detector will provide monitored protection in fire emergencies whether you are home or away. This 24/7 protection will send a signal to the central station in the event of a fire and the operator will then dispatch your local fire department. Many insurance companies offer you discounts on your annual homeowner’s insurance for having monitored fire protection. Heat only detectors can be installed for fire protection in the kitchen and garage which are areas where most fires start but smoke detection is not advised due to false alarms from cooking smoke or exhaust of cars. Monitored Smoke/Heat Detectors cost between $149 - $199 each including installation. Protect your family and pets from the number one poisonous killer in American homes. You and the local fire department will be notified by the central station operator immediately when the monitored detector detects carbon monoxide poison. Help is on the way! Carbon Monoxide Detectors with installation are normally between $149 - $199 each. You always get an indoor siren with the basic free security equipment package. Some customers want to add more sirens inside especially in a large home and others want an outdoor siren too. Some outdoor sirens come with strobe lights that blink on and off when the alarm is going off. Audible sirens alert you when there is an alarm event including a constant sound for burglary and it pulses three times, pauses then repeats, for fire emergencies. Sirens also help to scare burglars off when it sounds letting them know they have been detected. Indoor sirens will cost between $69 - $99 and outdoor sirens are between $99 - $250. All security systems come with a power transformer that plugs into an electrical outlet and provides power for your security system. All systems should also have a battery backup power supply in case there is an electrical power outage. Once the power turns back on the battery backup will recharge. These come with your free equipment package. Cameras installed as part of your monitored security system give you live remote viewing and recorded video clips of trigger events. Many of these cameras have motion detection built in and can send you a text and/or an email anytime the cameras detect motion in front of them. Video clips are typically stored in the cloud for 30 days and can be downloaded to your computer if you need to keep the recording longer. Cameras range from $149 - $299 each with the more expensive ones including installation. Millions of customers are now enjoying keyless entry door locks. When attached to your security system you will now be able to remotely see if your door is locked or unlocked and be able to control the lock from your mobile device. You also will be able to program scheduled times for it to lock or auto lock 30 seconds after it is opened. Some of the nicer ones have BumpGuard technology to stop burglars from breaking into your home with a “bump” key. Large range in price from $99 - $349 each installed. If you like to save money on your energy costs and enjoy comfort, then you will want to invest in a “smart” thermostat. These can be easily programmed on a schedule from your personal home management web portal. Wake up to the perfect temperature and set a schedule to save energy when you are not home. Also can be triggered based on an event. Example: you arm your system to AWAY MODE because you are leaving for the day… Thermostat automatically adjusts to save you money. When you get home and disarm your system… it turns back to your desired temperature for comfort. Smart Thermostats will cost between $149 - $299 installed. The most popular form of lighting control is lamp modules. You plug these modules into an electrical outlet then plug your lamp in the lamp module. You now have control over your lamp. You can program a light scene to make it appear you are home when away in the evening or on vacation. Have it turn on when you enter the home in the evening. Lights can also be turned on and off from your mobile devices. Light switches are now available to be controlled by some security systems and soon some light bulbs will have an ability to be controlled independently from a lamp module or light switch. Lamp modules typically cost between $59 - $89 each. These controllers give some customers a lot of peace of mind. No more turning around to head home just because you can not remember if you closed the garage door. With remote status check from your mobile devices and the ability to close or open your garage door from your phone, you can now manage your home’s largest door remotely. You will still be able to control the garage door with your current garage door openers. These garage door control devices cost between $149 -$199 each installed. You may want to add one or several control centers in your home as devices dedicated to manage your security system, view video from your cameras and control the home automation devices you have installed. Typically, the keypads that come with your security system only control the alarm portion of your system. You may not always want to open an App on your mobile device or login on your computer to manage your complete system or see who is at the front door from your camera. A Touchsceen Control Center is very convenient and makes using your system much easier. Touchscreen Control Centers normally cost between $199 - $349 each. Some security systems integrate with other home automation devices. For example: you can integrate both the Nest Thermostat and the Ring Doorbell to your ADT Pulse App. It is nice to be able to control all your devices from one App or Smarthome management platform. You will pay a small installation/programming charge to integrate third party products. 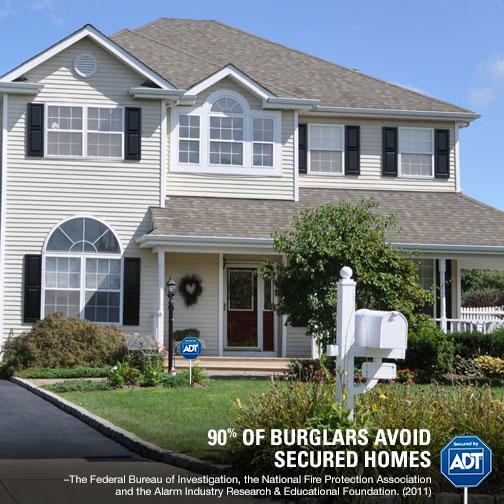 You will want to make sure you have an App like ADT Pulse to control all your security, video and home automation devices. You do not want to open “ten” different Apps to control all your devices. Outsmart your “Smarthome” and plan ahead. For complete system management you will need to setup your schedules, automations, user access and other features on your web portal. You will also be able to to see history of events including individual device events. Example: what time the front door opened and closed. If you want to personally add additional home automation devices or cameras in the future you will use your web portal to “learn in” the new equipment to your system. Can I Add Additional Equipment in the Future? It is important to know that with a professionally installed system, it is normally more affordable to get as many things installed on the first installation day. It may not be an option to get everything you want right now due to affordability, but get as much as possible. Future installs of additional equipment typically add hourly installation charges that can get expensive. If you can not afford to get everything you want right now, please do not wait until later to get your home and family protected. An essential security security installed in your home is far better than a robust security system sitting on the stock room shelf. Order the level of security that fits your budget today and upgrade when the timing is right. There are lots of options, so customize your system to meet your family’s unique needs at a price you can afford. There are specials and coupons available for upgrades so make sure to ask before ordering them.